Yukon College is a leader in education, rooted in our diverse cultures and northern environment where everyone is inspired to dream, learn and achieve. The College has been delivering education and training in the North since 1963. Our 11 community campuses and two campuses located in Whitehorse work closely with business, industry and local governments to deliver programming when and where it’s needed. Yukon College offers more than 50 certificate, diploma and degree programs through six discipline-focused academic and career schools. 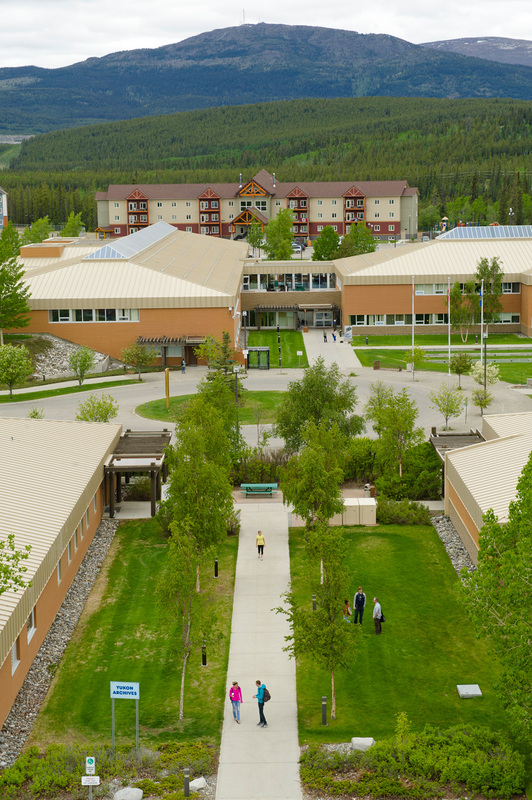 Through partnerships with universities in Canada and the United States, Yukon College offers five degree programs. The College was given degree granting status in 2009 and is currently working on development of its own degree in Indigenous governance and policy development, as well as a post-graduate certificate in climate change policy. Ranked #1 in Canada for research intensity amongst Canadian Colleges, Yukon College is home to the Yukon Research Centre, with a focus on climate change and cold climate innovation, as well as biodiversity monitoring, and the mining life cycle. YC offers the following environment related academic programs: Bachelor of Science in Northern Environmental and Conservation Sciences (in partnership with University of Alberta); Renewable Resources Management diploma; Northern Science diploma; Northern Outdoor and Environmental Studies; Geological Technology. YC also offers a non-credit Yukon Water and Wastewater Operator program. All of the College’s programming includes a First Nations competency component.